Heat oven to 400°F. 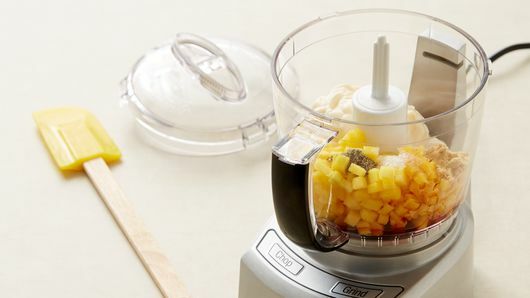 In food processor or blender, place 2/3 cup of the mango, the mayonnaise, 1 tablespoon of the teriyaki sauce, 1 teaspoon of the ginger, 1/2 teaspoon kosher salt and 1/4 teaspoon pepper. Cover; process until smooth. Pour into small bowl; cover and refrigerate. Meanwhile, in medium bowl, mix pork, remaining 1/3 cup mango, 2 tablespoons of the teriyaki sauce, remaining 1 teaspoon ginger, 1/2 teaspoon kosher salt and 1/4 teaspoon pepper just until combined. 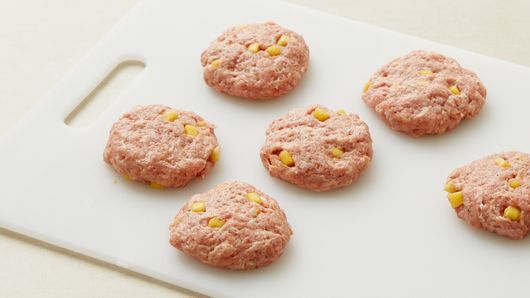 Shape mixture into 10 patties, about 1/2 inch thick. Heat 12-inch nonstick skillet over medium-high heat; cook patties in skillet 6 to 9 minutes, turning once, until meat thermometer inserted in center of patties reads 160°F. Brush patties with remaining teriyaki sauce. 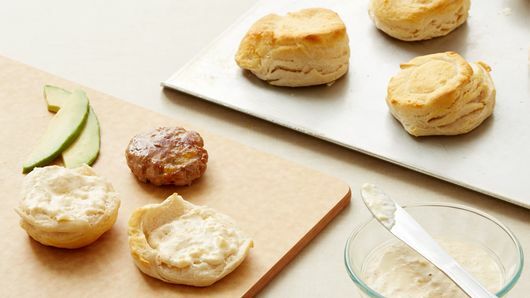 Split biscuits; spread 1 teaspoon mango mayonnaise on split sides of each biscuit. 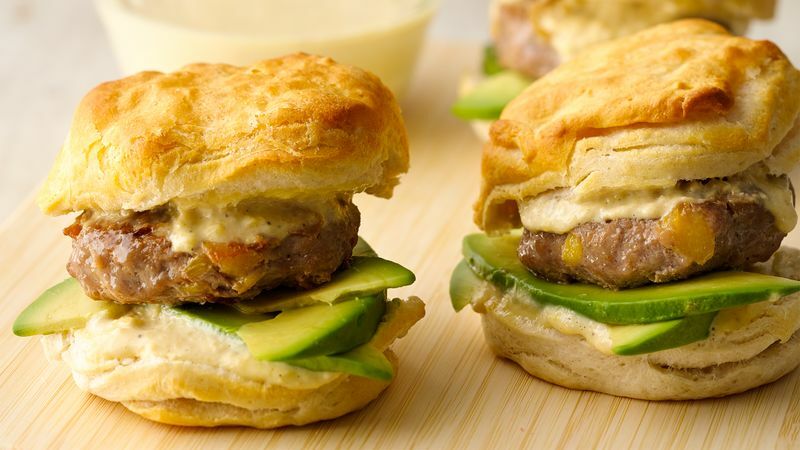 Fill biscuits with patties and avocado. Serve with remaining mango mayonnaise.